Magic mirror, in your hand, what should you be for Halloween? No, we didn't even try to get that to rhyme, and we're sorry for that. But that's because you don't need to bother asking magical looking glasses in the first place. 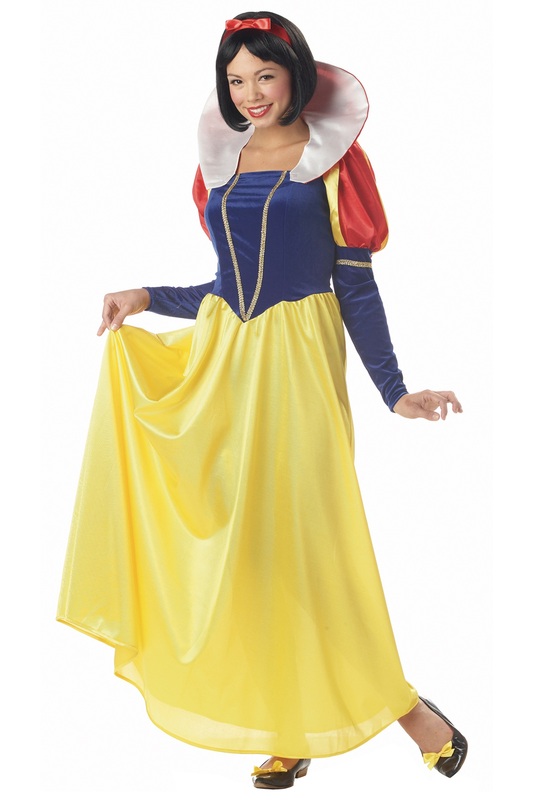 If you want the fairest look in all the land, just slip into this elegant Snow White Costume; no need to ask any judgy mirrors for advice! Luckily, this costume just gives you Snow White's beautiful sense of style, and not any of her odd habits. The flowing yellow dress, velvety bodice, and detachable foam collar come together for a simple but very elegant look, perfect for strolling through the trees and playing with woodland critters. Tie the included satin ribbon into your hair and slip on a comfy pair of slippers to complete this fairy tale ensemble, and there will be no question about who is the fairest in the land!